Why do you want an AR-15? I am sure you’ve heard that question before. Maybe it’s from a quizzical acquaintance or concerned family member. Or maybe you’ve asked it yourself. Perhaps it’s just a question floating around in the back of your mind. I’m asking it for a different reason, though. I want you to make a good choice. Whatever reason you have for purchasing an AR-15 is yours, but I want to point you in the right direction. If you’re on this page, then you’re probably searching around the web for advice on which type of AR-15 to buy. Maybe you’re comparing brands, or looking at different configurations of barrels and stocks. Or it could be that you want to take stock of what you already own and see what the advice out there has to say. If you’ve come here only looking for me to tell you what to buy for your first AR-15, then these are my suggestions. The rest of this post lays out my reasoning. I realize that my recommendations aren’t on the “budget” end of the spectrum, but they are far from the high end as well. Quality costs money, and I’m saving you money in the long term by suggesting weapons that will last a long time. Any of the rifles or uppers here are reliable, accurate, and will serve you for years before you feel like you need something else. These suggestions are for weapons ready to go out of the box, minus a few accessories like sights, optics, lights, or slings. Colt Combat Unit Carbine, which fits my criteria for a Minimum Capable Carbine out of the box. It has a lightweight barrel, midlength gas, quality furniture, and a solid name behind it. Colt 6720 Lightweight Carbine. Slightly cheaper than the CCU, but still very high quality. Colt 6920 OEM 2. Stripped down version of the famous 6920 to save costs, all you need to supply is some furniture. There are many other complete rifles I could recommend from Bravo Company USA, Daniel Defense, and others. These companies all make great rifles, and I always advocate for them. If this wasn’t your first AR-15, I would probably even suggest one. But you will pay more for these than the options I already listed, and they honestly don’t bring a whole lot more to the table. Bravo Company USA 16″ Midlength Lightweight. This is a great starter upper that actually appears in several of my photos. Colt Combat Unit Carbine Upper Only. Like the complete rifle above, but only the upper half. Sionics Weapon Systems Patrol Three. Sionics is not as well known as BCM or Colt, but I know several members of the team and what they bring to the table. This option is definitely worth considering. The AR-15 is now the most popular self-loading rifle in the country. Manufacturers are spending an awful lot of advertising dollars to sway your opinion. That also means that you’re probably stuck between several good-sounding options and want more information. I hate wasting money. My wife used to make fun of me because of how much research I would do comparing every little feature when it came to just about anything. For example, it took me three months to choose which 4” fixed blade knife I wanted for a gift. 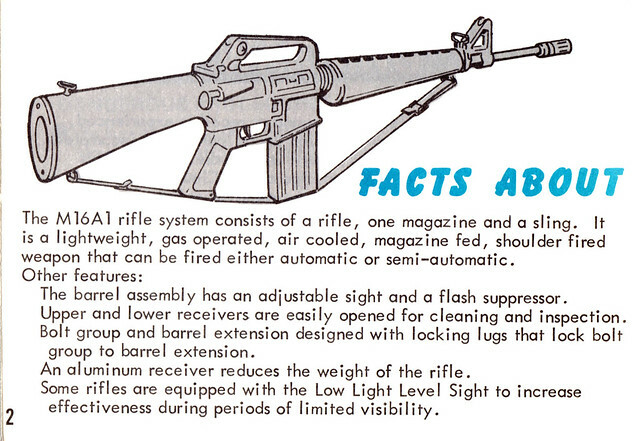 You can imagine what the year and a half looked like while I researched my first AR-15. Even then, I still got parts of it wrong. Let me explain these a little more. This is an old military saying meaning that you should select equipment best suited to the task at hand. It doesn’t make sense to use a short-barreled rifle for long range precision. It was designed for close quarters and clearing buildings. Likewise, there is little benefit to using a nice precision match rifle for dumping high volumes of lead into a dirt berm with you buddies. As simple as the idea of mission drives gear may seem, there are an awful lot of people out there who aren’t following it. The AR-15, and all its various configurations, is one of the most well-understood and popular rifles in the world. There are hundreds, if not thousands of configurations. M4 and M4A1 carbine with short barrels and all sorts of gizmos hanging off them, great for urban and mid-range combat. The thing to remember is that each of these configurations was designed with a purpose in mind. Sure, government bureaucracy sometimes got in the way and drove some bad decisions, like the “government” profile barrel. But, in all, they do their job extremely well. The truth that marketers hate is that a quality standard AR-15 configuration will do a solid job at any task you ask it to do. From CQB to mid range precision, it can handle it. But there isn’t money to be made by saying that you don’t really need that super special barrel and bipod combo. That said, everything comes with compromises. The more you specialize an AR-15 for a particular role, the worse it performs at others. Short barreled rifles are great for quick handling at close range, but they have dramatic velocity drop off and skull-rattling concussion. Heavy barreled precision rifles suited to long-range shooting are a relative pain to carry. This is at the extremes, of course. That brings us back to the opening question: What is your mission? Why do you want to buy an AR-15? If you’re like most of us, you don’t have an armory of each configuration to hand out on a situational basis. At least not starting out. Black rifles tend to multiply like that, though (consider that to be fair warning). For us, it makes sense that the first one does a pretty good job at everything. This one is simple. If you are going to buy something, then get one that is quality enough to last. When it comes to AR-15s, hucksters say Part X is “just as good as” Part Z. They usually don’t provide any proof of the claim, either. The end result is that the guy looking for a good deal buys the cheaper thing, then has it break on them after a while. Now they need to buy a replacement. I’ve seen someone buy three of the exact same cheap red dot sight. The first one broke after a few months, so they replaced it with the second. That one made it about a year before they replaced it with another. In all, the money spent on three copies of the same cheap red dot was more than buying a single quality one. That quality sight would have lasted practically forever, and come with a lifetime warranty. Don’t get me wrong, though, I’m not saying you should spend huge amounts of cash.I used to say “Buy once, cry once.” I realized that I was encouraging the wrong line of thought. There is a point of diminishing returns in the AR-15 world. Right now, that point is around $1400. Sure, you can spend a lot more than that. But the difference between a $1500 AR-15 and a $3000 AR isn’t that much. The difference between the $500 and $1000 price point is dramatic, though. The sweet spot for AR-15s is usually between $900 and $1200. If manufacturers start going too far below that price, then you have to ask what kind of compromises they are making to get there. I’m not saying that a bargain bin $500 AR is going to explode in your hands tomorrow. But I am saying that to reach a $500 price point, you don’t know what kind of loose tolerances, quality control, testing, metallurgy, and care of assembly went into the product. If the gun only ever turn money into noise by dumping lead into the berm, then it wouldn’t matter. 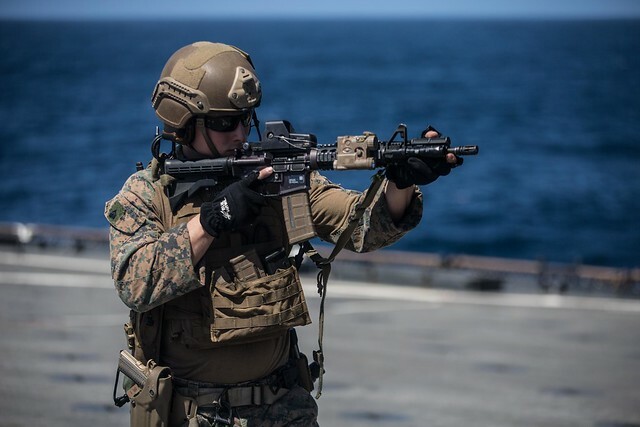 But if you ever suspect that you might be in a position where the rifle going bang every time you pulled the trigger is important to you, then you should consider spending a little more. I started writing about this concept several years ago, when interest in buying an AR-15 began spiking among my friends and coworkers. I was the “gun guy” they knew, so they wanted help. This spec is the result of nearly ten years of experimentation, competition, training, and study. It is not perfect. Everything is a compromise. Not my first AR-15, but the second. I used all of the lessons learned from the first to arrive at this configuration, which mirrors my suggestion for a minimum capable carbine. Assembled from a BCM Lightweight Midlength upper (suggested earlier in the post) and a complete BCM Lower. When I started out, the buzz around the message boards was that it was cheaper to build your first AR-15. The idea was that you could buy the exact parts that you wanted and assemble them together. This was cheaper than buying a complete quality-built rifle and then spending the money to replace the parts that you didn’t want. Turns out, it was more expensive for me. The hidden costs started to add up. From shipping all the individual parts to all the extra tools that I had to buy to complete the assembly. On top of that, I still had to pay someone else to assemble the upper. I watched them do it and always questioned whether they did it right. To date, that upper has been rebuilt three times. I spent about $2300 building my first AR, not including the optic. That kind of money could have bought me a KAC SR-15 or some other very high-quality rifle out of the box. These days, there are so many good manufacturers making such a wide variety of rifles that it would be silly to choose the build route for a first rifle. My suggestion, especially for your first AR-15, is to buy a complete rifle from a good manufacturer. My favorites include Colt, Bravo Company USA (BCM), Sionics Weapon Systems, and Daniel Defense. These manufacturers produce a good product right around the sweet spot price point. If you still have the itch to build, then you should buy a stripped lower receiver to finish. Then pick up a complete upper from one of the mentioned manufacturers. Let’s talk about some of the finer details that make up the minimum capable carbine. Several years ago, a gentleman by the name of Rob S put together the infamous Chart. In 2009, when I first read it, the chart was a list of technical specifications found in the government M16/M4 family. These specs contributed to the reliability and performance of the rifle. It also highlighted which manufacturers were adhering to those specifications. In the years since the chart went public, the gun buyers got smarter and more demanding about what they wanted. In response, manufacturers started touting their compliance, lest they be seen as inferior. These days, the chart is long gone, and nearly all those specs show up on every AR-15 sold. So, it’s getting more difficult to tell the difference between a good quality AR-15 and a lesser quality one by looking only at the spec sheet. That said, I want to run down the key specification points and offer some tips. This is not a comprehensive detailed breakdown. Each of these subjects warrants their own complete post, but it will give you an idea. Choosing your barrel is a stressful decision for most beginners. There are simply a lot of options out there. What you will find below is some quick takeaways from that much larger article. I highly suggest you check out my article on choosing an AR-15 barrel, which will prepare you for making this decision. The barrel, combined with the bolt carrier, is the beating heart of the rifle. I wrote another very long article explaining just about everything you need to know about rifle barrels over here. I definitely suggest checking it out. Buy a lightweight profile barrel made from MIL-B-11595E certified steel, which could either be 4150 ORD or CMV. Get it with a chrome lined bore and fixed front sight. This combination is the most versatile for people who own only one AR and need it to do lots of things well. They handle well indoors for home defense. I suggest either a 16″ or 20″ barrel. The length primarily affects the velocity and balance of the rifle. Velocity has a huge impact on the trajectory of the bullet as well as its effective range. The 16″ is a good all-around length and a solid choice for most tasks. The 20″ makes a fantastically shootable rifle with a flat trajectory, but comes at the cost of a little more weight. During the last Assault Weapons Ban, manufacturers started putting out heavy barreled (HBAR) variants. They targeted these towards competition shooters, since heavy barrels tend to be more accurate. Their extra mass also helps put up with higher volumes of fire. The accuracy thing is interesting. But if this is your first AR-15 then you are not likely to be able to take advantage of the increase. If you are already a competitive high power shooter now moving into the AR platform, then a heavier barrel made of SS410 or 416r stainless steel might benefit you. Otherwise, you are better served by learning the rifle and shooting out the first barrel as you practice. That will take about 20,000 rounds. For most people, that is years and years of shooting, if they ever get there. For professional shooters in competition, that’s about a single season of practice, training, and competition. It helps when your practice ammo is paid for. A lightweight profile puts up with plenty of abuse. It also handles well and isn’t a burden to carry. Weight matters. I’ve been to many a training class where people start stripping junk off their rifles to save weight. There are a lot of barrel steels out there. Look for 4150 steel or better, as mentioned before with the governments 11595E specification. The cheaper 4140 isn’t terrible, but 4150 is the minimum government spec for the AR-15. It has a bit more durability for use in firearms due to its higher carbon content. Stainless barrels are often used in precision rifles. It’s not that stainless is any more accurate than 4150, though. They are more corrosion resistant and easier to machine. That means manufacturers shorten their supply chain and produce more consistently machined barrels. Stainless barrels come with some risks in durability, particularly in very cold weather. For that reason, stay away from lightweight profile stainless barrels. They should always be medium profile or heavier. If you want to go the stainless route, then buy one made from 410 or 416r stainless. If you plan to use the rifle in below freezing weather, then stick to 416r. I chose chrome lining because it’s more common, durable, and well understood. Nitrided barrels, also known as Melonite/QPQ/Tenifer and other trade names, are barrels treated with a surface conversion process. This makes them very corrosion resistant and it doesn’t have the accuracy trade-off of chrome lining. The compromise is that the nitrided barrel is much less heat tolerant of high rates of fire. This applies more to fully automatic rather than your regular semi-auto rifle. When it comes to nitrided barrels, I really like Faxon’s options, and used one of their 18” gunner barrels on a lightweight project. I know there are nitrided stainless barrels out there on the market. Be cautious here, since the temperature used for nitriding is very close to that used for tempering a barrel. Generally, I would avoid nitrided stainless barrels unless you’re buying from a known high-quality manufacturer who can certify the temperatures used in the process. For more information here, read my article all about barrel nitriding. Look for a twist rate of 1-7 or 1-8. Some cheaper barrels have a 1-9 twist rate, which will actually work fine for shooting bulk ammo in the 55gr to 62gr range. But if you ever want to use the heavier and more accurate 77gr family of bullets, then you will need the faster twist. If you want more detailed information about selecting the right twist rate for your rifle, head over to my article all about rifle twist rates. Some people are particularly passionate about this. Plastic handguards work well for 95% of people out there. They are usually lighter, plenty durable, cheaper, and replaceable. I usually find them more comfortable as well since the shape is ergonomic and internal heat shields help protect my hand after lots of shooting. I like the Magpul MOE series of plastic handguards. Rails come in either free floated or non-free floated format. These days, I see no reason at all to have a non-free floated rail system. The advantage of free floated rails is two fold. First, they offer lots of real estate for attaching accessories like lights or lasers. Second, they do not interfere with the barrel during firing. This provides a small, but noticeable, accuracy boost. There are several well-made rails on the market that are even lighter than plastic handguards. Some of my favorites out there are made by ALG, BCM, and Centurion Arms. AR-15 triggers are a highly personal thing, and everyone has their own preference. I suggest reading my longer article about AR-15 trigger selection as a follow-up to this. When I started out, I went immediately for a $200+ Geissele SSA. Since then, I’ve installed an SSA-E, SD-E, and a Larue MBT. All of those are great triggers. The last one used an ALG ACT, which simply a coated and polished mil-spec trigger. I have a preference for two stage triggers, but that doesn’t mean it’s the only way to go. I love my nice triggers, but I also realized they circumvented the process of learning to squeeze the trigger well. In truth, if I were starting over with my first AR-15, I would stay with a good mil spec trigger like the ALG ACT or BCM PNT for as long as possible. Lighter triggers are not a replacement for poor fundamentals. A practiced shooter can take any trigger and use it effectively. Poor shooters seek to get “better” by fixing their issues with more gear. Get a decent mil-spec trigger and practice. Once you’ve mastered that, then consider a nicer trigger that gives you the extra accuracy with the skill you’ve already developed. The stock is one of those things that most people take for granted. It’s just…there. But it’s also the only part of the rifle that makes contact with two parts of your body: your shoulder and your cheek. That said, there’s no need to overcomplicate this. If you are buying a complete rifle, it probably comes with a pretty good stock already out of the box. Shoot it and enjoy it. The Magpul UBR 2.0, a collapsible stock that locks up like a fixed stock. But it comes at significant weight and price penalty. If you are taking the path of assembling your own, or want to customize what you already have, then pick what looks good to you from Magpul, BCM, LMT, or B5. They all do their job well, and it isn’t worth sifting through the small differences between them. For a long time, I advocated for fixed rifle length stocks. I still enjoy them. I realize that there is a lot of utility sacrificed in the process, though. Fixed stocks offer much more stable cheek welds, which increases accuracy potential. This happens at the expense of adjustability and compactness. What you value more is up to you. Whichever choice you make, make sure to get the right size. If you go for a rifle length stock, then you will need a rifle buffer tube (technically called the receiver extension). That also requires a different rifle spring and buffer. Aside from the rifle itself, I think a minimum capable AR-15 should have an optic, sling, and white light. I have another detailed article covering my thoughts on types of AR-15 optics, their uses, and picking the right one for you. If you want more pro/cons about making a decision, check out that post over here. You’ll find thousands of discussions between enthusiasts debating their preferred options. There is an optic targeted to every price point, from ultra cheap to high end. Most people are best served by a red dot sight. This projects a little red dot against an unmagnified lens, and it greatly speeds up the aiming process. It is best suited from 0 to 200 meters, give or take depending on your eyesight. To keep things simple, I recommend the Aimpoint PRO model. This is a previous generation version of the US Military’s M68 optic. You can find them today for about $430, which is about half the price of the current generation M68, the Aimpoint M4s. Regardless of the option you choose, expect to spend at least $400 for a quality red dot from Aimpoint, Trijicon, Leupold, EOTech, Vortex, or others. Red dot sights are sometimes problematic for people with astigmatism. It turns the red dot into a cluster of red splotches, lines, or other misshapen things. If that’s you, look at prismatic optics, low power fixed magnification, or low power variable scopes. I like Trijicon ACOGs for low power fixed options. But at around $1000 give or take for a new one, they aren’t exactly designed for those just getting into the AR-15 world. Trijicon’s low power variable scopes are available in the $500-$700 range, and they offer a lot of good value for the price, such as SWFA’s 1-4x option. As an aside, please make sure you zero your sights. I’ve come across a lot of people at training classes who just never bothered, and it showed. If you want to use your AR-15 for home defense, you need a flashlight. Lights rated to put up with rifle recoil cost a bit more, but it’s worth it. You also want something with enough power; 100 – 300 lumens is plenty for this purpose. Some people try to push it well beyond what is practical. You’ll also need a mount. My favorites come from Gear Sector, Impact Weapon Components, or Arisaka Defense. Make sure you get one matched to your flashlight body diameter and mounting system (1913 rail, M-LOK, etc). Slings do more than just carry the rifle. I have a long history with variations on the shooting sling, which cinches around the arm to stabilize the rifle. But I don’t think that’s where you should start. A good sling allows you to take up and release slack as needed to adjust the rifle or get more stability. The top two, in my opinion, are the Blue Force Gear VCAS and the Magpul MS3. I always recommend two point adjustable slings for new shooters. They will never stop being useful, and can be modified for even more functionality. The AR-15 is a fantastic rifle, and I’m glad you’re considering one. I consider it the quintessential American rifle these days. There is a lot of information in this article, and I keep it updated as needed to reflect my thoughts and experience. Do your homework, buy quality, and you will have a great experience with your new rifle. Let me know if you have any thoughts or questions down in the comments. Feel free to argue with me as well. I’m always open to a different perspective.